One of our add-on resources is called "Interactive Objects". That's a pretty cryptic name for something quite simple actually. If you come up with a better name, let us know and we'll change it. Imagine a boardgame where you put down the board and then some pieces on top that you can move. Well, that's an interactive object: a background image with a set of images that you can drag and drop on top of that background image. So that's what "Interactive Objects" is: a custom puzzle put together from a background image and a set of foreground images. 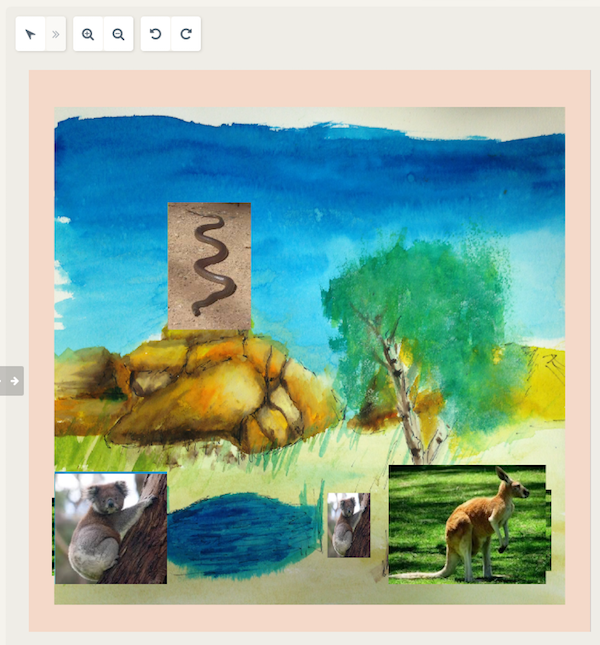 You can now drag the snake, kangaroo and koala around on top of the background image. If you have some ideas for drag-and-drop scenes you could build and would use in Coviu, email us at support@coviu.com with your idea and we'll give you a quote. 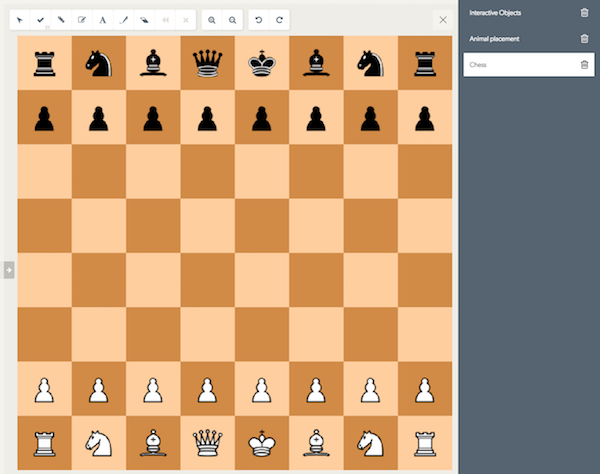 Here's an custom example we built from "Interactive Objects": a chess game. To activate the "Interactive Objects" add-on for your Coviu Professional account, send us an email at support@coviu.com and we'll turn it on for you. Right now this is for free. In the near future, we will create functionality to let you turn these add-ons on and off yourselves, at which time we will be charging a small extra monthly amount.